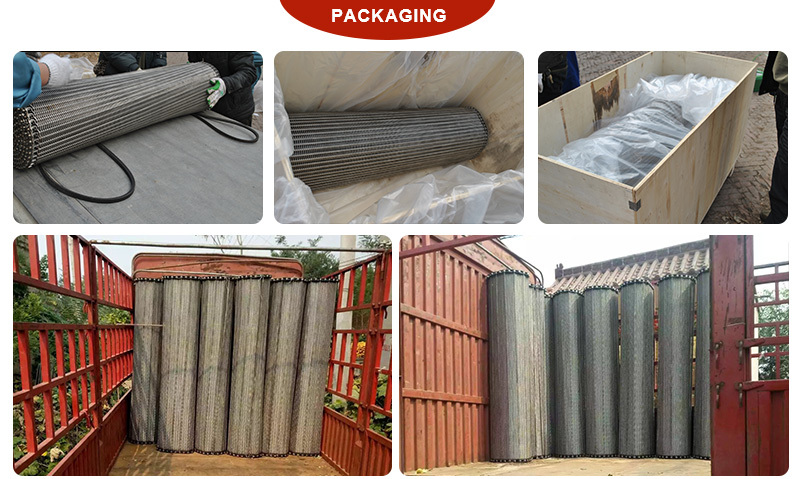 Wire Mesh Belt - Buy Wire Mesh Belt Product on Hebei Reking Wire Mesh Co.,ltd. are widely being used for conveying purposes. 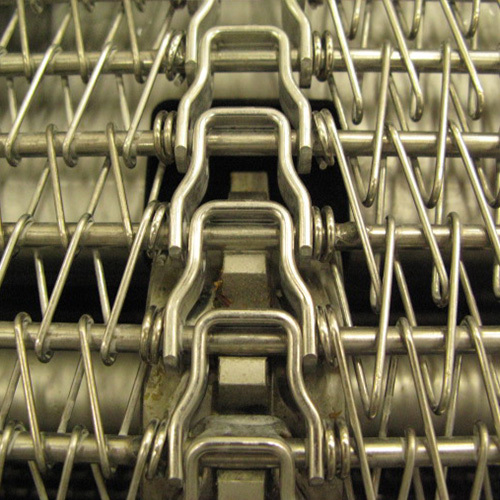 Metal wire mesh belts are often utilized for transporting and/or drying at high temperatures and synthetic filter cloth belts are mostly used for transporting and/or drying at lower temperatures. 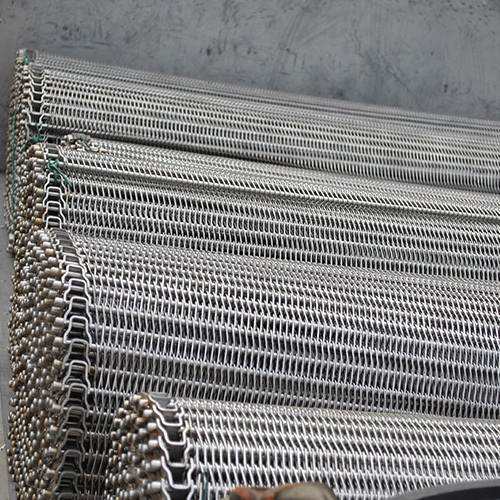 Metal woven wire mesh belts are not like chain driven conveyor belts, but are driven by self-correcting rolls which are on high tension. 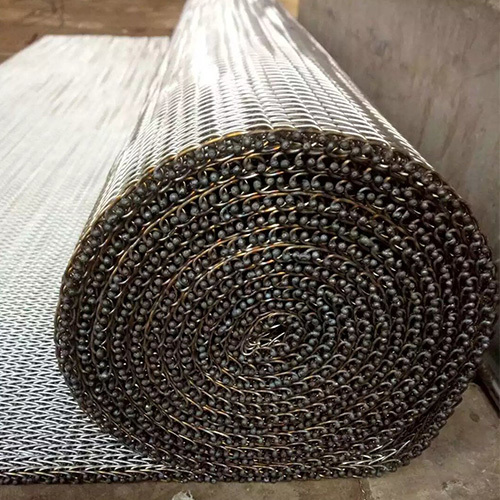 These type of metal woven wire mesh belts are easy to apply, very stable, usually have lower weight than metal chain belts and can withstand severe circumstances. 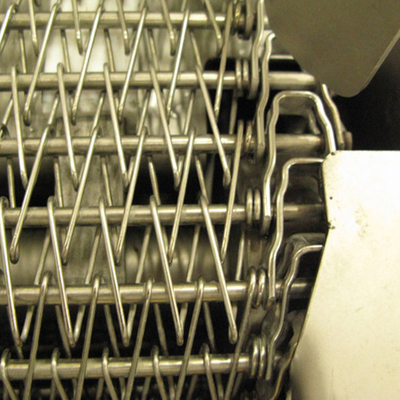 Woven metal wire mesh belts are often used in industries such as heat treatment plants, food processing, baking, snacks, automotive and many more. It is important that belts within these kind of industries can handle metallic parts for instance and have openings for accurate air or water permeability in order to dry or wash, for non-food as well as the food industry. These mesh belts can withstand severe conditions and can operate at very low and high temperatures, withstand salt, chemicals and corrosion due to high quality materials like stainless steel (316L INOX). Vacuum belts are porous belts used to create a vacuum below the belt in order to process light weight products within the production line of a factory. Vacuum belts are supplied as polyester wire mesh filter cloth belts or as PU belts with perforated holes in order to obtain an effective air permeability. These types of belts secure the products tightly on the belt by means of the vacuum below the belt. This enables the factory to process goods with a very high pace. Light weight products which can be processed by these kind of belts are for instance hygienic products like diapers and tissues. Filter cloth belts are synthetic wire mesh belts which are usually used for draining and drying. These types of belts are applied for instance for dewatering purposes and drying foods. More information about desludge and dewatering can be found here, more information on food drying here and general information on wire cloth and filter cloth here. Open synthetic wire cloth with a large mesh is mostly used for conveying and washing vegetables and fruits in the agriculture industry. 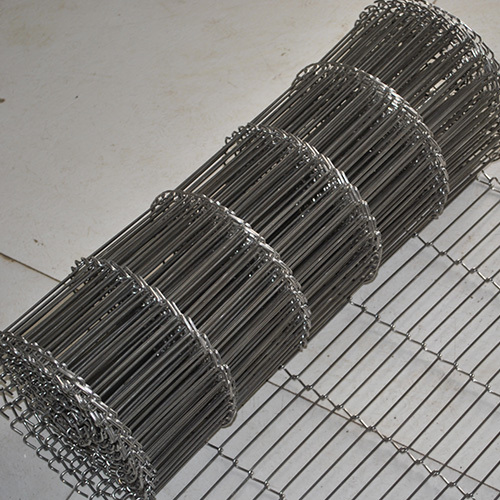 Most of the supplied wire mesh is blue due to the high visibility and detectability when possible defects occur. Nevertheless, these synthetic wire mesh belts are very stable, especially when solid PU edges are applied on both sides. These belts are also mostly provided with cleats in order to be able to gently transport fruits and vegetables upwards. Application: Used in sintering, bazing, pharmacy, drying, chemical, glass industry, electric, high temperature equipment, heat treating, transit baking industry and food processing, etc.